It appears that creative food mash-ups are not stopping any time soon — and we're kind of happy about that because of the fantastic new ways to enjoy our favorite food. From black ice cream to coffee in a waffle cone, there's no end to dessert mash-up heaven. 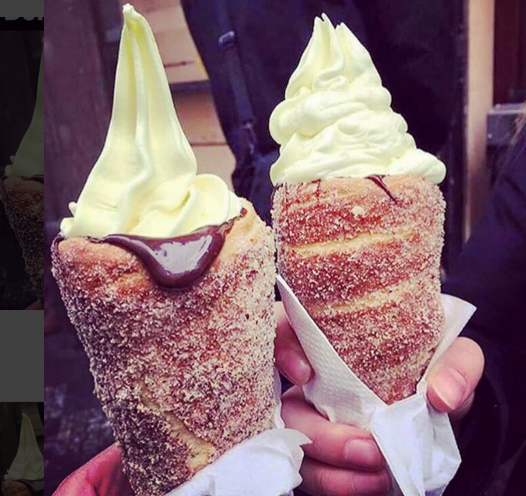 The cone is made of cinnamon sugar-covered dough. Topped with chocolate with ice cream in the middle, it's a powerful (not to mention diabetes-inducing) dessert to behold. Who wants a plain old wafer cone or a simple waffle cone when you can have cinnamon-sweet, soft cone to hold your favorite ice cream? 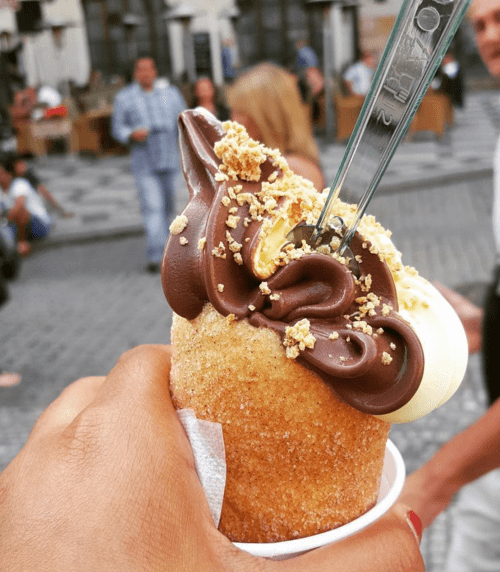 Called the "Chimney Cake," Mashable says that it's a modern take on the dessert called Trdelnink, "a traditional Slovak cake and pastry made from grilled dough, topped with sugar and walnuts." A Yelp reviewer has this to say about the dessert: "This pastry is similar to the taste of a churro, I think. A type of cinnamon sugar coating the outside, crispy but still soft once you bite into it. The chocolate had been freshly melted and then smeared around the inside. Once the soft serve ice cream was added, the chocolate hardened around the pastry. It was simply perfect. A warm pastry as a cone for the ice cream coated in chocolate. I cannot stress enough that this was one of the most delicious desserts I've bought." Sounds like heaven to us! 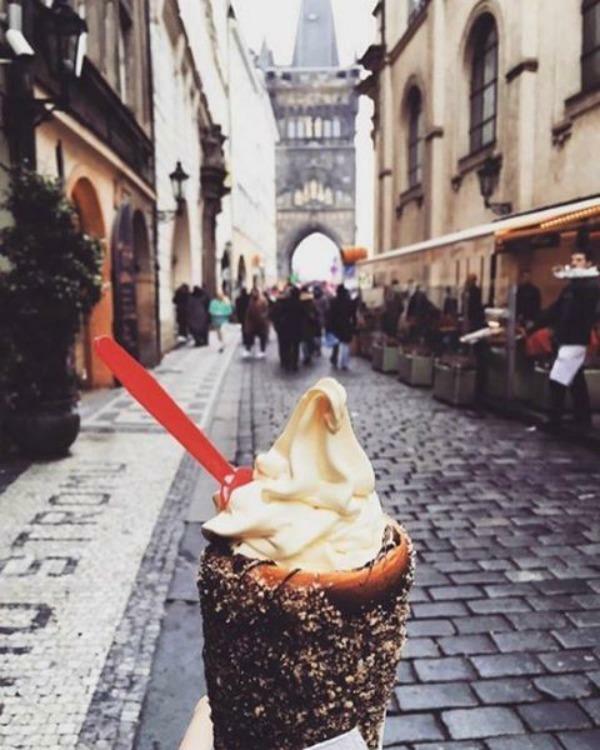 But sadly, and most tragically for us who don't live in Prague, we can't have a taste of this mouth-watering treat; we can only gaze and long at the pictures. The dessert is only available at the Good Food Coffee and Bakery in (yes we weren't kidding) Prague in the Czech Republic. The bakery offers a variety of Chimney Cake flavors: the Chimney Original with nuts, Chimney Chocolate with nuts, Chimney Cream with cream and strawberries, Chimney Blizzard with soft ice cream, and even the Chimney Twister with ham, cheese, tomato, and rucola. Someone, book us a flight to Prague, now!